Directions: Capital Beltway (VA), exit Braddock Road West. Proceed on Braddock Road to Wakefield Park entrance on right. Pool is in the park. 16 lane 25 yard indoor pool. Ten (10) lanes will be used for competition. At least five lanes will be available for continuous warm-up/warm-down. Open to all swimmers of teams that are members of the Eastern States Senior Circuit. All swimmers must be registered with United States Swimming Inc. There are no qualifying times but all teams agree to bring swimmers who are training at a senior level and are preparing for successful qualification or participation in Sectionals and Nationals. Please see published Circuit Guidelines for more information. Age on January 5, 2008 will determine age for the entire meet. To be eligible to enter this meet, a swimmer must be registered with USA Swimming, Inc. no later than the entry deadline shown below. No on-deck registration will be permitted. 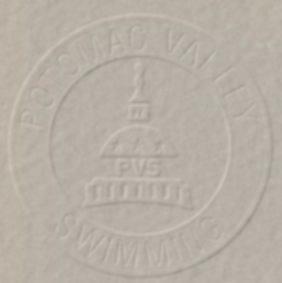 SWIMMERS WITH A DISABILITY: PVS and host clubs along with their Meet Directors are committed to the Inclusion Policy as adopted by the BOD. Athletes with a disability are welcomed and are asked to provide advance notice of desired accommodations to the Meet Director. The athlete (or the athlete's coach) is also responsible for notifying the session referee of any disability prior to the competition. All events will be Timed Finals. 1650 (events 25 - 26) will be swum slowest to fastest, alternating heats of women then men. Women and men may swim together. Session 4 ------ Warm-up will be available at all times/Session start time will be 30 minutes after the completion of the 1650 Free. Important: The above date is the deadline for clubs to submit their entries to the Meet Director. Therefore, clubs usually set an earlier deadline to receive entries from their swimmers. Check with your club for this information. . Entries must be submitted with short course yard times by e-mail using the HYTEK Team Manager computer software. Entries must include a meet entry report by swimmer and meet entry report by event from the Team Manager Program. Do not use Commlink reports. In all cases, a completed summary sheet showing the name of the person to contact in case of questions and a check for the amount of the entry fees must accompany the entries. Swimmers may enter (3) individual events per session but no more than (5) total for the day on Saturday. Swimmers may enter the 1650 Free plus 3 events on Sunday. Swimmers may participate in 2 relays per session. Relay teams must be designated A, B, C, etc. if a team enters more than one relay. All entry times must have been achieved in USA Swimming sanctioned or approved competition. Meet Directors are requested to acknowledge receipt by return e-mail within 24 hours. Clubs submitting entries that do NOT receive an acknowledgement should contact the Meet Director by phone to confirm receipt. The 2008 USA Swimming Code and Rules will apply. USA Swimming Safety and warm-up procedures will be in effect. In accordance with USA Swimming Policy, only those coaches who, at all times, display current, valid United States Swimming credentials will be permitted to act in a coaching capacity at this meet. WE WILL BE USING FLY-OVER STARTS AT THIS MEET. Swimmer shall be disqualified from the event entered illegally. Club may be fined up to $100.00 for each offense, and a record of such offenses shall be kept and published as part of the official meet results. Clubs entering swimmers not legally registered with USA Swimming by the deadline date may be fined $100.00 per swimmer per event entered illegally. Scoring will be on a sixteen-place basis. Individual events will be awarded 20, 17, 16, 15, 14, 13, 12, 11,/9, 7, 6, 5, 4, 3, 2, 1. Relay events will receive double these point values. All events at the distance of 200 and below will be preseeded. All relays, 400 IM's, 500 Free's, and 1650 Free's will be deck seeded and require positive check in. Relay check in must be done by the end of warm up for each session. Check-in for the 400 IM will be by 8:30 am and check in for the 500 Free will be by 4:30 pm Saturday. Check in for the 1650 Free will be by 6:00 pm on Saturday.